Another year, another wetsuit roundup, and this time we look back on the best-selling wetsuits of 2018. 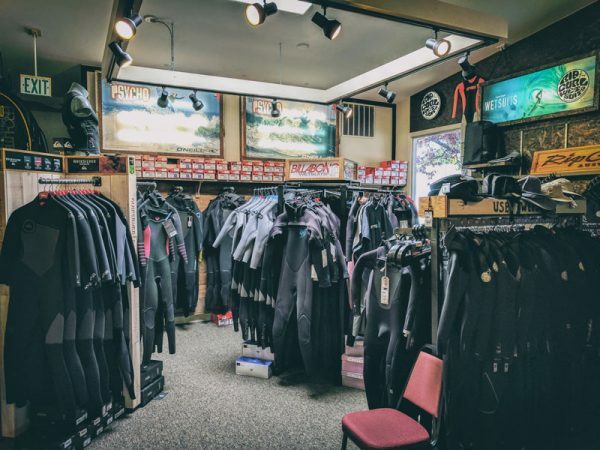 This year, we saw a lot of welcome upgrades from wetsuit companies, including some important improvements by Billabong and Patagonia. The old favorites still fill out much of this list, however there’s some newcomers like the Furnace Absolute, which despite being out for only a couple months, has held its own here. Now that the new year has passed, we’ve looked back and reviewed the numbers to find the most popular suits of 2018. *For this list we’re including less common thicknesses like a straight 3mm or a 3.5mm in the most similar category. In this example, the 3/2mm section. When we first started talking about doing interviews for the site, the first person that kept coming to mind was Mike Olsen. Mike’s the man responsible for Lib Tech, GNU and a host of other unique products all based out of the Northwest and a Cleanline Shop vet no less. We were stoked to get the opportunity to talk with Mike about the past, present and future of all things Lib Tech. With a lot of in depth responses and shared history, this is probably the most interesting (and longest) interview we’ve done this far, so enjoy! Eric Arakawa is one of the most well respected and beloved shapers ever to come from the North Shore of Hawaii and has made boards for all the greats. From Michael Ho to Bruce and Andy Irons to Jack Robinson today, Eric has remained relevant for his incredible dedication to craft and high-performance design. We’ve been carrying Eric’s boards for over 25 years now and love them, so naturally, we were very excited to ask him a few questions.